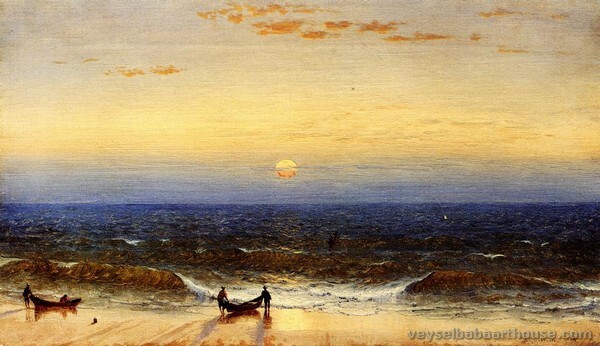 Sanford Robinson Gifford (July 10, 1823 – August 29, 1880) was an American landscape painter and one of the leading members of the Hudson River School. 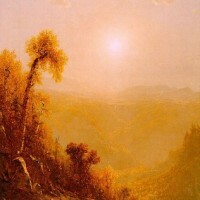 Gifford's landscapes are known for their emphasis on light and soft atmospheric effects, and he is regarded as a practitioner of Luminism, an offshoot style of the Hudson River School. 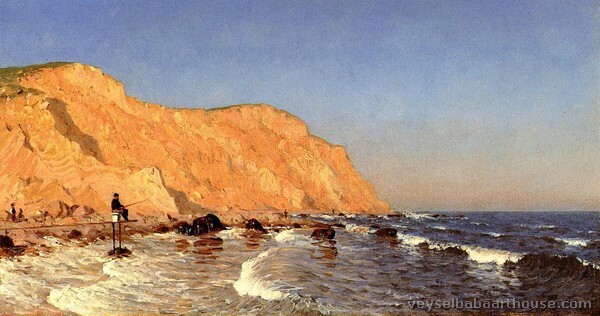 Not to be confused with artist Robert Swain Gifford (1840–1905), no apparent relation. 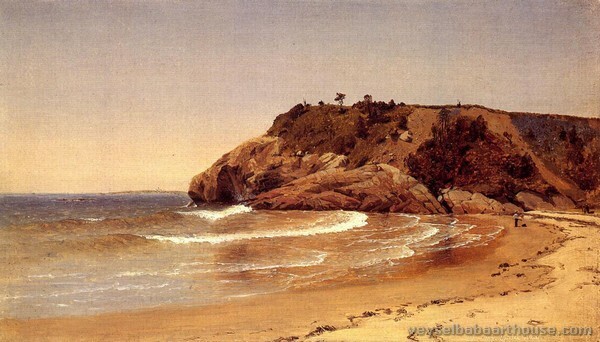 Gifford was born in Greenfield, New York and spent his childhood in Hudson, New York, the son of an iron foundry owner. 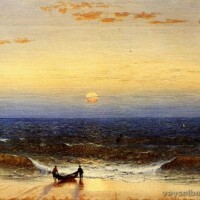 He attended Brown University 1842-44, where he joined Delta Phi, before leaving to study art in New York City in 1845. He studied drawing, perspective and anatomy under the direction of the British watercolorist and drawing-master, John Rubens Smith. He also studied the human figure in anatomy classes at the Crosby Street Medical college and took drawing classes at the National Academy of Design. 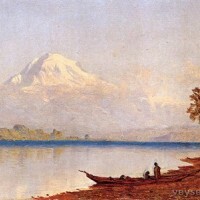 By 1847 he was sufficiently skilled at painting to exhibit his first landscape at the National Academy and was elected an associate in 1851, an academician in 1854. 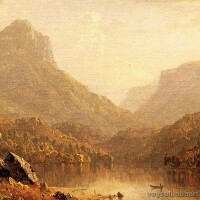 Thereafter Gifford devoted himself to landscape painting, becoming one of the finest artists of the early Hudson River School. Detail from group portrait of George Fuller, William Page, Henry Kirke Brown, Joseph A. Ames, Asher B. Durand, John Quincy Adams Ward and Sanford Robinson Gifford (seated). 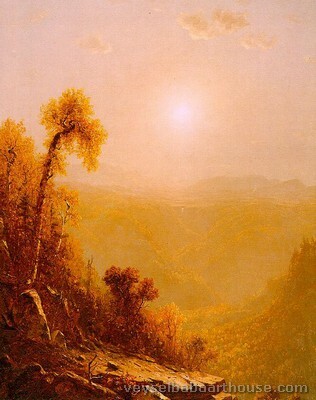 Like most Hudson River School artists, Gifford traveled extensively to find scenic landscapes to sketch and paint. 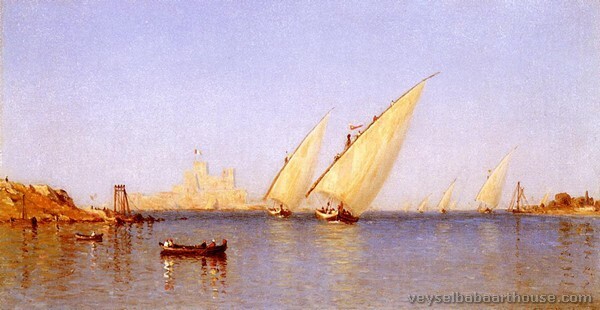 In addition to exploring New England, upstate New York and New Jersey, Gifford made extensive trips abroad. 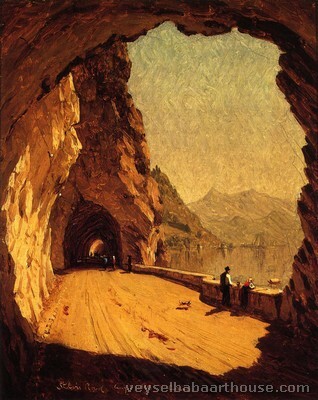 He first traveled to Europe from 1855 to 1857, to study European art and sketch subjects for future paintings. 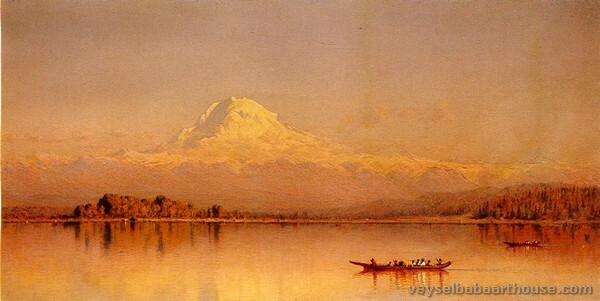 During this trip Gifford also met and traveled extensively with Albert Bierstadt and Worthington Whittredge. 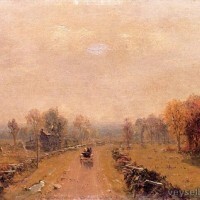 In 1858, he traveled to Vermont, "apparently" with his friend and fellow painter Jerome Thompson. Details of their visit were carried in the contemporary Home Journal. 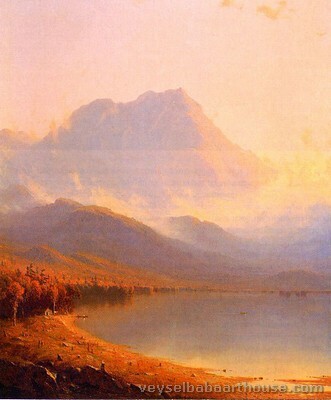 Both artists submitted paintings of Mount Mansfield, Vermont's tallest peak, to the National Academy of Design's annual show in 1859. 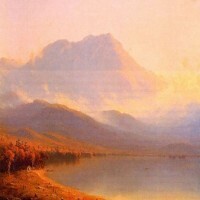 (See "Mt. 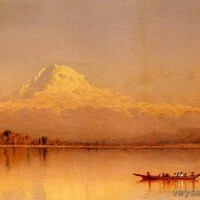 Mansfield paintings controversy" below.) 'Thompson's work, "Belated Party on Mansfield Mountain," is now owned by the Metropolitan Museum of Art in New York,' according to the report. Thereafter, he served in the Union Army as a corporal in the 7th Regiment of the New York Militia upon the outbreak of the Civil War. 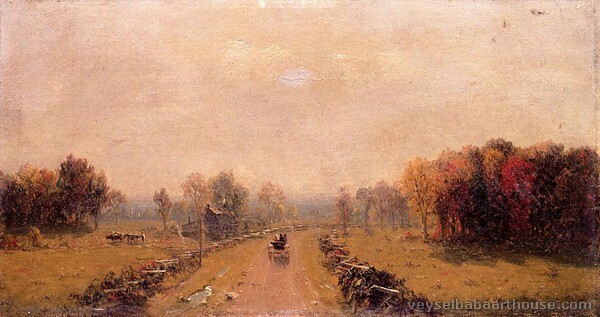 A few of his canvases belonging to New York City's Seventh Regiment and the Union League Club of New York are testament to that troubled time. 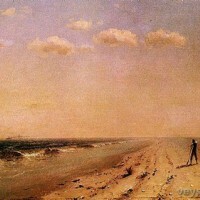 During the summer of 1867, Gifford spent most of his time painting on the New Jersey coast, specifically at Sandy Hook and Long Branch, according to an auction Web site. 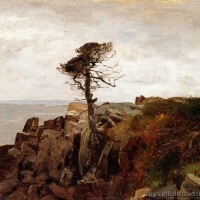 "The Mouth of the Shrewsbury River," one noted canvas from the period, is a dramatic scene depicting a series of telegraph poles extending into an atmospheric distance underneath ominous storm clouds. 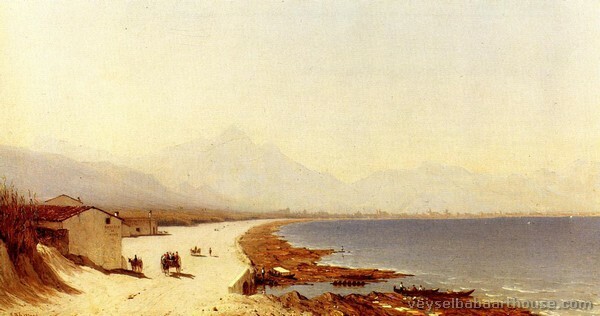 Another journey, this time with Jervis McEntee and his wife, took him across Europe in 1868. 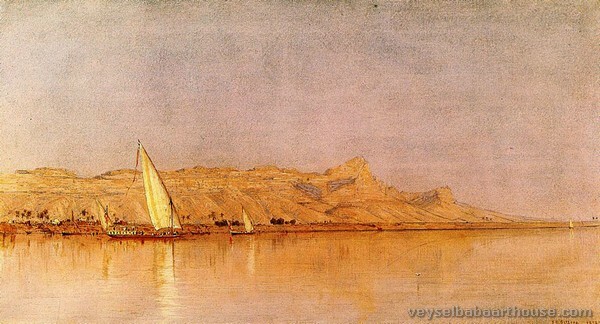 Leaving the McEntees behind, Gifford traveled to the Middle East, including Egypt in 1869. 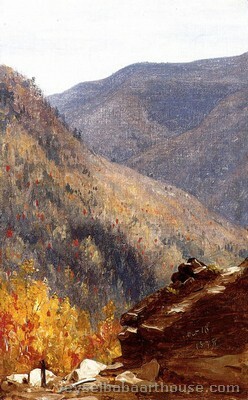 Then in the summer of 1870 Gifford ventured to the Rocky Mountains in the western United States, this time with Worthington Whittredge and John Frederick Kensett. 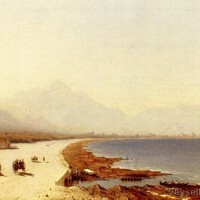 At least part of the 1870 travels were as part of a Hayden Expedition, led by Ferdinand Vandeveer Hayden. 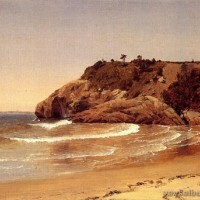 Returning to his studio in New York City, Gifford painted numerous major landscapes from scenes he recorded on his travels. 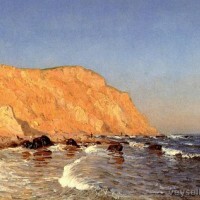 Gifford's method of creating a work of art was similar to other Hudson River School artists. 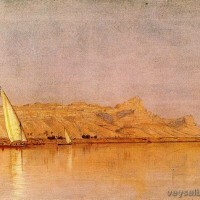 He would first sketch rough, small works in oil paint from his sketchbook pencil drawings. 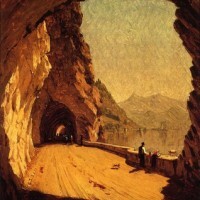 Those scenes he most favored he then developed into small, finished paintings, then into larger, finished paintings. 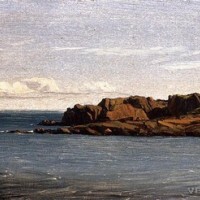 Between 1955 and 1973, Gifford's heirs donated the artist's collection of letters and personal papers to the Archives of American Art, a research center which is part of the Smithsonian Institution. 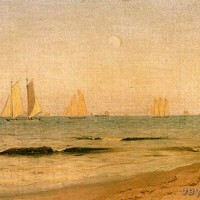 In 2007, these papers were digitally scanned in their entirety and made available to researchers as the Sanford Robinson Gifford Papers Online. 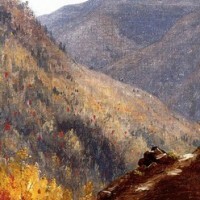 Gifford painted some 20 paintings from the sketches he did while in Vermont in 1858. (See "travels" section above.) 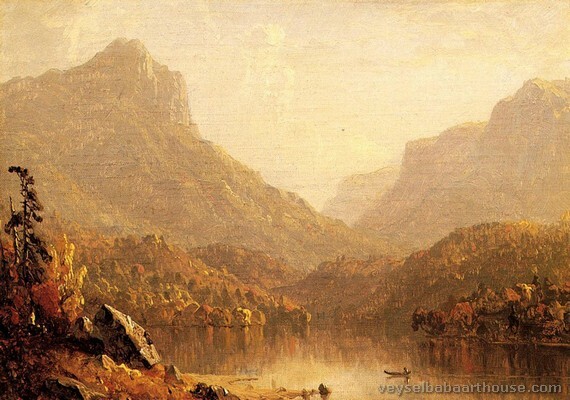 Of these, "Mount Mansfield, 1858" was the National Academy submission in 1859, and another painted in 1859, "Mount Mansfield, Vermont," came in 2008 to be in the center of a controversy over its deaccession by the National Academy in New York. 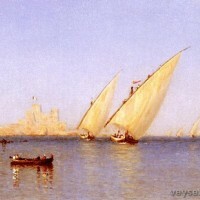 The controversy had been reported in December, saying that the sale of paintings to cover operating expenses was against the policy of the Association of Art Museum Directors, which organization in turn was asking its members to "cease lending artworks to the academy and collaborating with it on exhibitions." 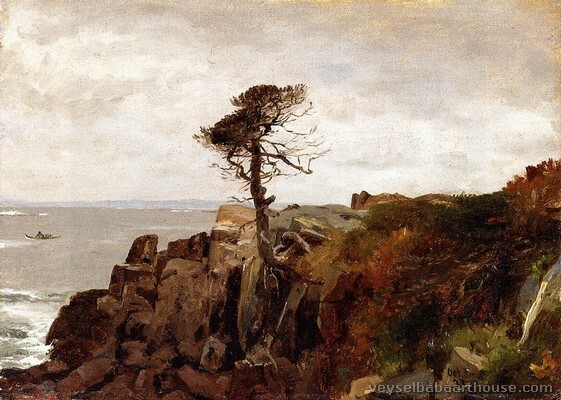 The report also said the 1859 painting in question was "donated to the academy in 1865 by another painter, James Augustus Suydam." Amongst much more detail about on the deaccession, a later Times report said that the National Academy had sold works by Thomas Eakins and Richard Caton Woodville in the 1970s and 1990s respectively, according to David Dearinger, a former curator. "When the academy later applied to the museum association for accreditation, Mr. Dearinger recalled, it was asked about the Woodville sale and promised not to repeat such a move," the Times reported. News of the sale was originally broken, as reported in the Times, by arts blogger Lee Rosenbaum. As cited by Rosenbaum, her original story, with additional details on other contemplated sales by the Academy, ran December 5. The Times did subsequently report on the other contemplated sales, without credit to Rosenbaum.